In 2017, Rabbi B, with his business partners, Bob Wolfson (Omaha, NE) and Don Schoen (Des Moines, IA) formed welaunch, a US-based not-for-profit. welaunch provides relevant Israeli technology companies, access and introductions to clients and investors through the Silicon Prairie” (the US Midwest), helping to stimulate local economic development, foster entrepreneurial and innovation ecosystems, educate constituents about Israel as "the Start-up Nation," and it's life-sustaining, world-transforming "Global Impact Technologies." 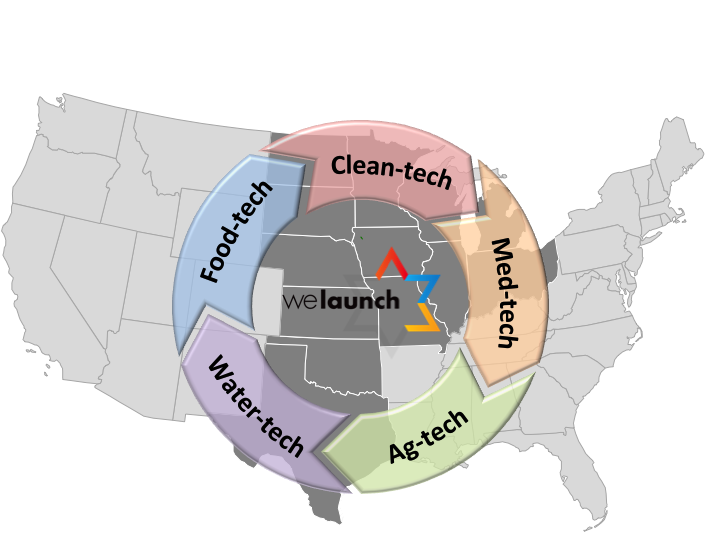 welaunch communicates the opportunities and inspiration of the Silicon Prairie and Start-up Nation. welaunch connects Silicon Prairie companies and investors with Israeli Global Impact Technologies. welaunch coordinates activities between Israeli tech companies and our partners throughout our network. welaunch creates and facilitates Israeli innovation tours & US roadshows as a pathway to developing profitable, impactful and lasting relationships.